Click the button below to add the LECA Clay Aggregate - Small Size - 5 liters to your wish list. 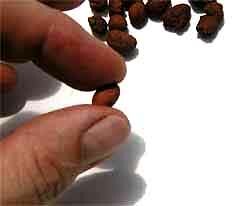 Small LECA pebbles are about the size of a pea. 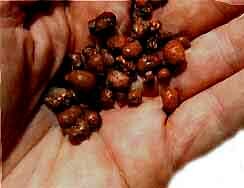 A culture pot filled with small pebbles has less air space and holds considerably more moisture than large pebbles. This size pebble is used mostly for seedlings. We don't recommend small pebbles for mature orchids.